This Chestnut Prospector canoe is a design by Ted Moores of Bear Mountain Boat Shop. 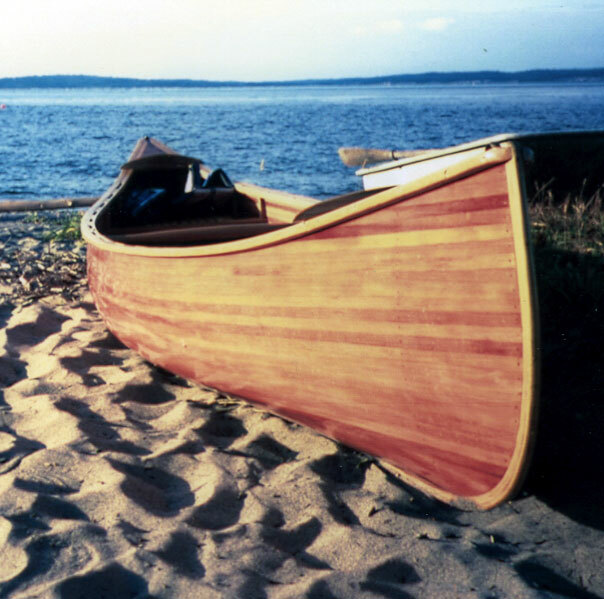 Don Sandall of Edmonds, WA, built the boat using cedar strip construction, then fiberglassed the hull inside and out. He then gave the hull 8 coats of UV protecting varnish. Length overall is 16' with a beam of 35".